It takes a lot of water to make 1 pint of beer. Statistics vary from as little as 35 litres and as much as 300 litres. 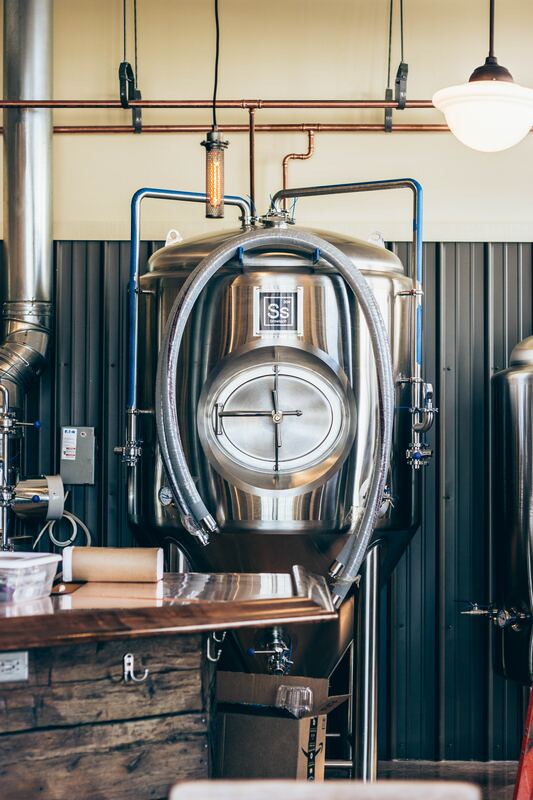 Either way water is a valuable commodity to any brewery, large or small – needless to say the quality of this valuable commodity is very important. The mineral profile of the water used with ions such as calcium, magnesium, sulphates, chlorides and bicarbonate influences the taste and the type of beer brewed. Historically the type of beer brewed would reflect the region from where it came, however with modern and reliable methods of water treatment, particularly reverse osmosis these ions can be wholly or partially removed allowing the brewery to manufacture different types of beer. The UK utility companies who supply our mains water have an obligation by law to supply water that is safe to consume. This water will be disinfected in some way usually by the use of chlorine or chloramines which affect taste. It can also sometimes be classed as very hard (i.e. containing calcium and magnesium ions) which can affect the taste of the final brew. Removing chlorine and/or chloramines is a simple process involving granular activated carbon or catalytic granular activated carbon. Installing a water softener will reduce the calcium and magnesium content whilst also increasing the sodium content. A private water supply from a borehole, well or spring supply will not be disinfected and may also contain other contaminants such as iron, manganese, turbidity or nitrates (as well as others), again the water may be classed as hard. Simple backwashing turbidity and iron removal units can also be used in conjunction with ion-exchange and/or reverse osmosis. J&F have supplied water treatment to many UK and Ireland breweries – our staff are on hand to assist and give advice regarding the complete water treatment solution for your brewery. You can ready more about the breweries we have worked with previously in our Case Studies page here.